Our brand new ICEBLOCK PUTTER mini is available in the shop now! If features a smaller and lighter putter head, for those who find the ICEBLOCK PUTTER a bit cumbersome. 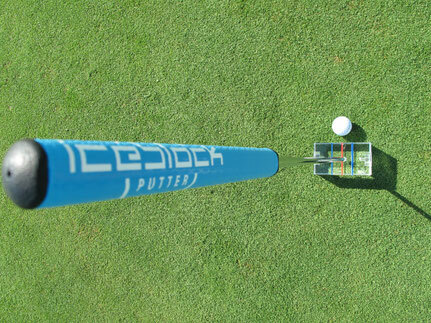 Try the ICEBLOCK PUTTER mini 10 days for free! 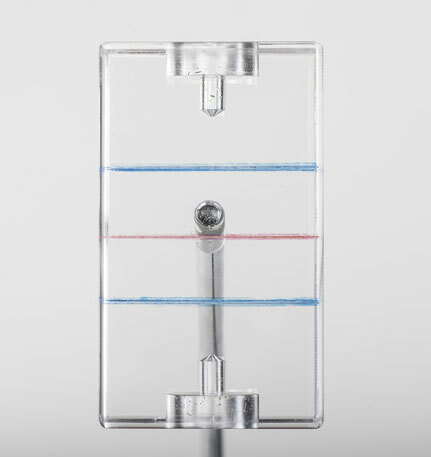 Only the Iceblock Putter Standard is a stand-alone putter. The Iceblock Putter -mini is too light to stand alone. 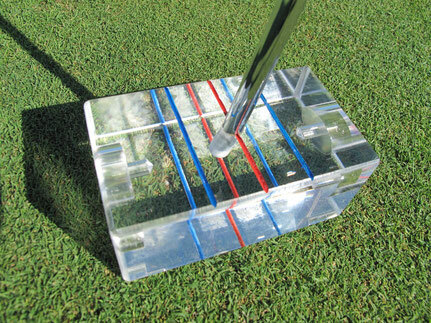 If you want the stand-alone feature please order the Iceblock Putter Standard and not the -mini. A series of perfect puts at the PGA Merchandise Show Orlando 2017. The ICEBLOCK PUTTER is so reliable! For perfect Putter alignment before the stroke. Largest sweetspot of all putters worldwide. For a perfect Pendulum Swing. 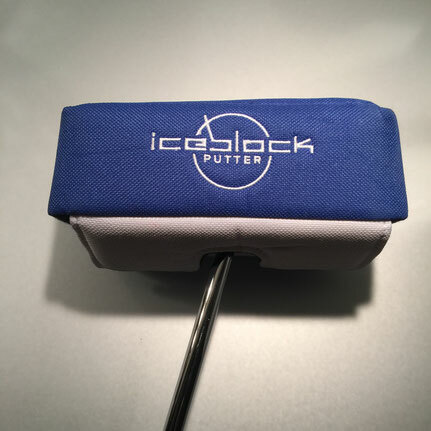 The Iceblock Putter comes in the "Icebox" with magnetic closure. Easy to take out of cover. The cover sticks to the irons in your bag and will not fall off even in strong wind conditions. Putting made safer and more fun! Perfectly balanced from heel to toe. A new and unique Feature! Swiss quality, precision and reliability.